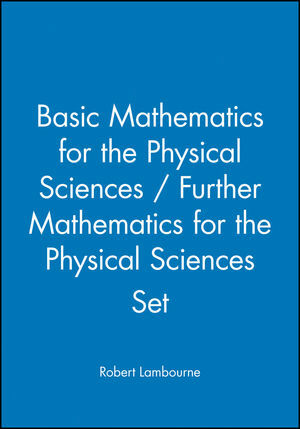 This textbook provides a thorough introduction to the essential mathematical techniques needed in the physical sciences. Carefully structured as a series of self-paced and self-contained chapters, this text covers the basic techniques on which more advanced material is built. Starting with arithmetic and algebra, the text then moves on to cover basic elements of geometry, vector algebra, differentiation and finally integration, all within an applied environment. The reader is guided through these different techniques with the help of numerous worked examples, applications, problems, figures, and summaries. The authors provide high-quality and thoroughly class-tested material to meet the changing needs of science students. * Is a carefully structured text, with self-contained chapters. * Gradually introduces mathematical techniques within an applied environment. * Includes many worked examples, applications, problems, and summaries in each chapter. This text is an essential resource for all students of physics, chemistry and engineering, needing to develop or refresh their knowledge of basic mathematics. The book's structure makes it equally valuable for course use, home study or distance learning. 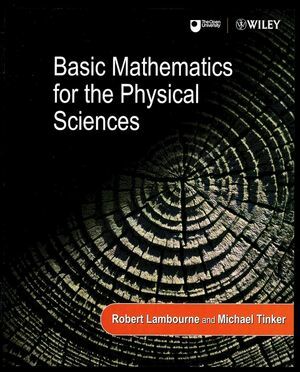 Robert Lambourne is the editor of Basic Mathematics for the Physical Sciences, published by Wiley. Michael Tinker is the editor of Basic Mathematics for the Physical Sciences, published by Wiley. Numbers, Units and Physical Quantities. Stationary Points and Graph Sketching. Integrating by Parts and by Substitution. Teaches the mathematics within a physics environment. Each chapter is self-contained to allow for flexibility in the order subjects can be covered. Thoroughly reviewed and edited over a number of years resulting in a well developed and accurate text. Equally valuable on traditional courses, as well as distance learning courses. Supplements include a Solutions Manual.